Philippe Briand has unveiled the latest sailing yacht concept to come from his Londonbased design studio: the 90-metre SY300. With a traditional sailing rig, the 1,550-tonne ketch has been created to outperform other sailing megayachts on the water today, as well as to provide a head-turning aesthetic and ultimate comfort on board. 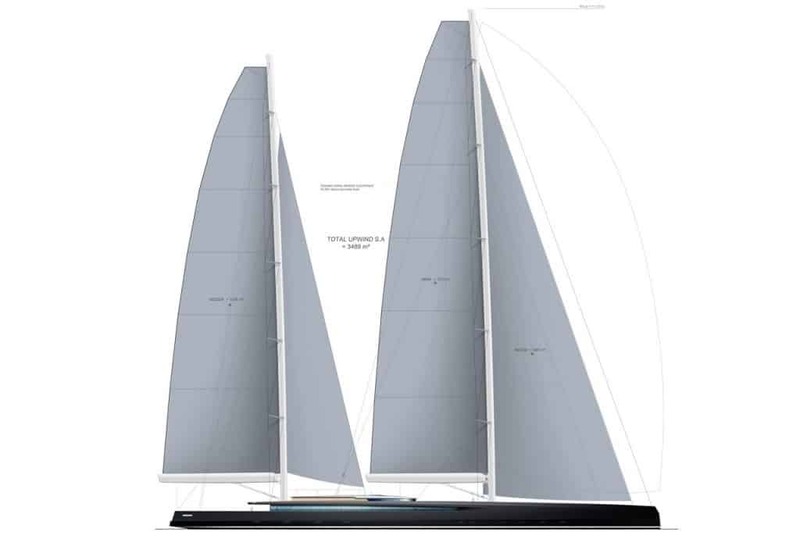 The SY300 would be the ultimate prize possession for a passionate sailor who demands speed on the water as well as exceptional design and style. Being fully wind-propelled, the SY300 would be a true leader in the new wave of ‘green’ superyachts; in particular, its hull-form characteristics and predicted performance would put the SY300 at the forefront of this cohort of vessels. Its remarkable hydrodynamic efficiency means more power could be harnessed through underwater turbines to charge the batteries on board. In the best conditions a maximum speed over 20 knots would be reached. Final interior layouts can be tailored to an owner’s desires, but initial drawings of the SY300 allow provision for a large full-beam owner’s suite with his-and-hers bathrooms, an office and a private terrace on the main deck. A vast, full-beam saloon leads forward to a dining room on the port side or a play room on the starboard side, and a second door to the owner’s office. A further six guest suites are located on the lower deck, as well as accommodation for up to 17 crew.